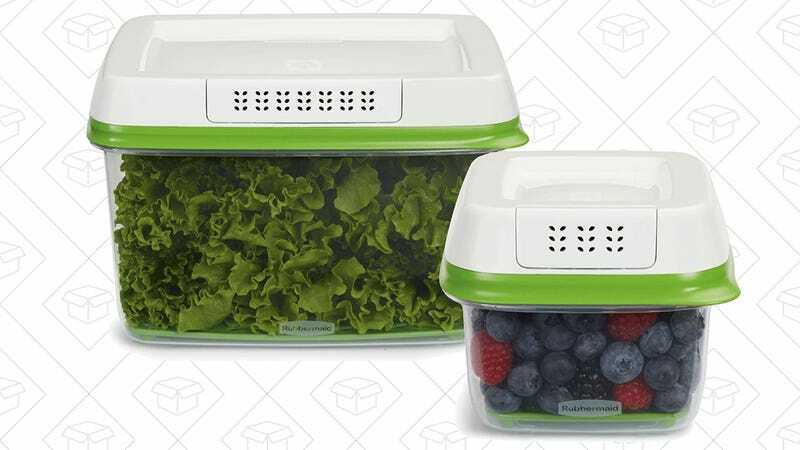 We’re all probably a bit ashamed of the amount of produce we allow to spoil in the fridge, but these Rubbermaid FreshWorks containers use a few neat tricks to extend your food’s lifespan, and avoid unnecessary waste. First, each FreshWorks product includes a “crisp tray” which elevates the food off the bottom of the container, giving moisture a place to drip, and air enough room to flow. 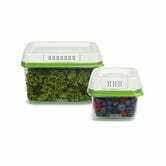 Second and most importantly, the lids feature special filters that regulate the flow of oxygen and CO2 into and out of the containers. All told, Rubbermaid claims keeps food fresh up to 80% longer than store packaging. It took less than a month for these to join the Bestsellers club, which I’m fairly sure is a record. To put it another way, I bet there are people bought them the first day we posted them, put some green beans inside as soon as they arrived, and will eat them tonight.